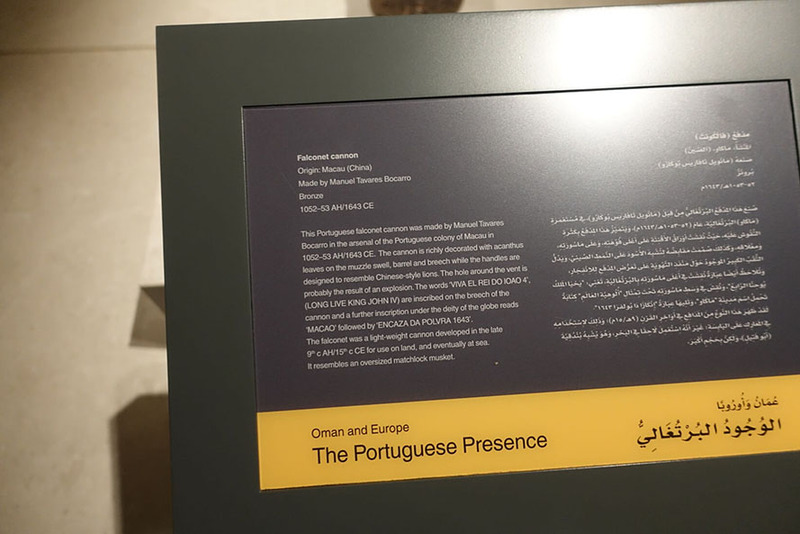 I recently traveled to Oman, which, some of you may be surprised to learn, is a country. It’s at the southern end of the Arabian peninsula next to Yemen. Lest you think that it’s unstable or dangerous like its neighbor, let me correct that impression – Oman is the polar opposite of Yemen. In fact, the US State Department says Oman is safer for travelers than France, Spain, Germany, or the UK. The capital city of Muscat, long a hub for trade in the region, boasts modern infrastructure, beautiful architecture, and the cleanest streets I’ve seen just about anywhere. I was quite honestly amazed at how clean Muscat and the surrounding cities were. Perhaps it was because I’d just come from Phnom Penh and Bangkok, both of which can shock you with stench and filth, but even Seoul was dirtier. Everywhere I went in Oman, there was someone cleaning – mopping, sweeping, or scraping. I spent a good bit of my time near the royal palace – Oman has been ruled by the same Sultan since 1970 – and I’d expect that area to be clean, of course. There was even a guy scrubbing bird poop off the railings along the sea, all of which looked to be remarkably clean before he started. However, even in the back streets where incomes were obviously lower, where shops were densely packed into tight alleys, there was a surprising lack of trash scattered about. 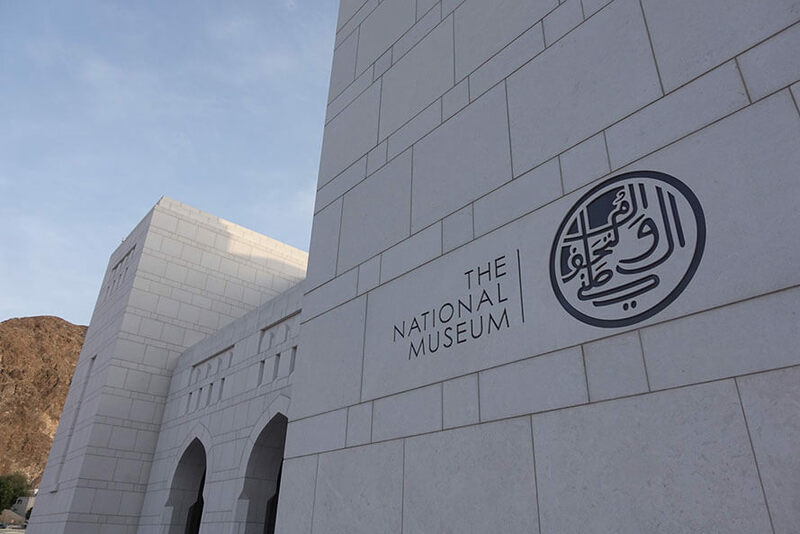 Directly across from the rather ostentatious palace entrance is the National Museum of Oman, a massive and imposing structure which I found to be quite well done. I am a big fan of museums and try to visit the national museum, or at least a major museum, of every country I visit. Sometimes this hasn’t been possible due to conflicts, travel or otherwise. 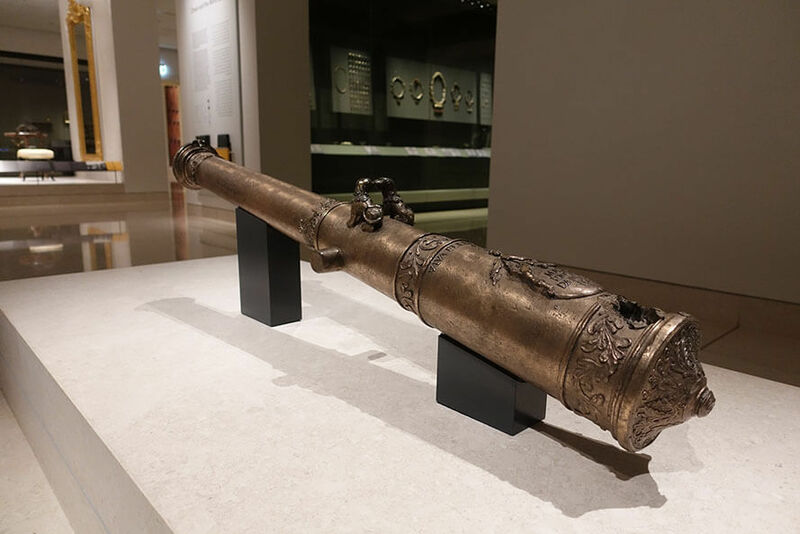 Thankfully, I was able to make a beeline from the airport to the National Museum of Oman. In keeping with my breathless praise for the rest of the country, this is without a doubt a world class facility. 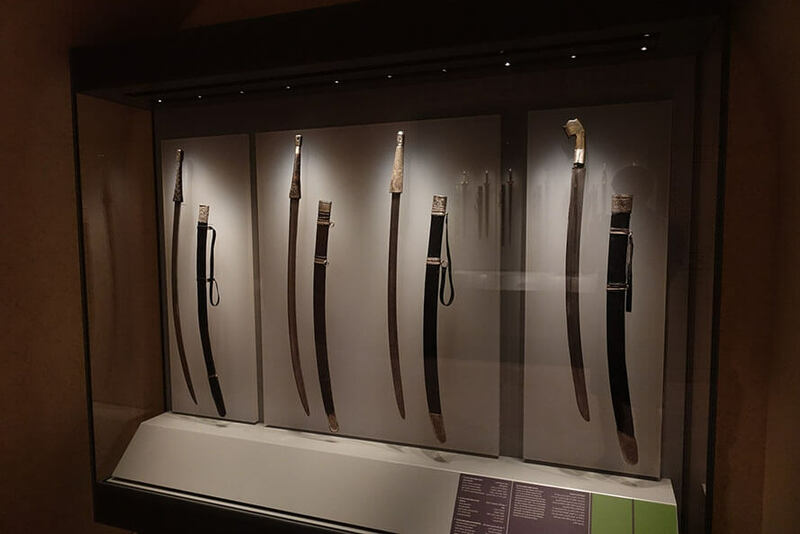 If you plucked this museum out of Oman and put it in any major American city, it would quickly become one of the best tourist attractions within 100 miles. 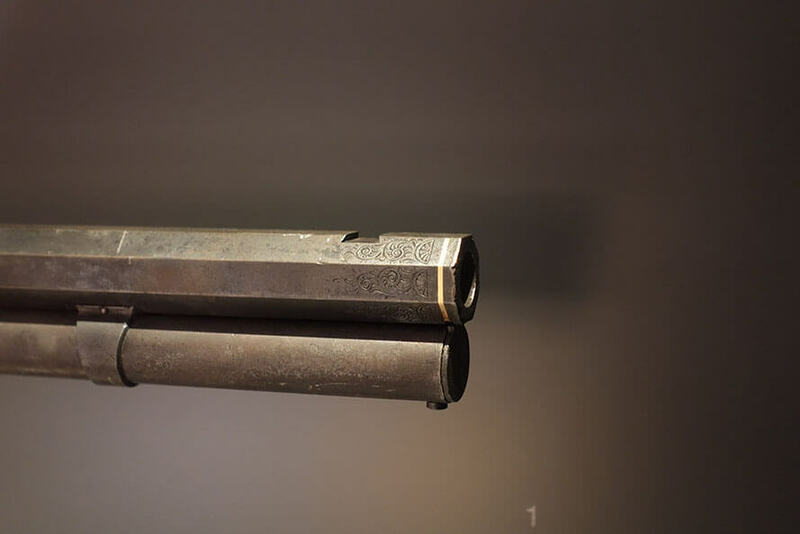 It rivals every top quality American or Western museum I’ve ever visited and is perhaps better than most. 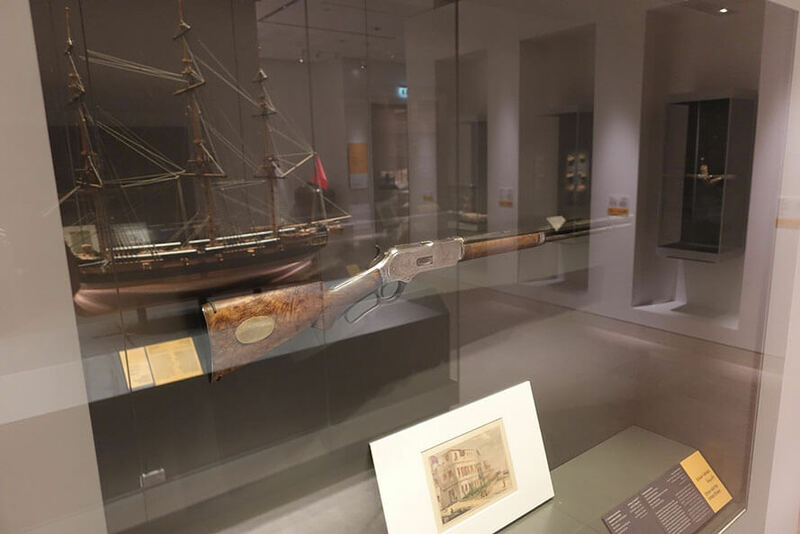 The nautical section of the museum deserves its own article, but this being a blog focused on weapons, it is time we changed gears and talked about the Arms and Armor area of the museum. 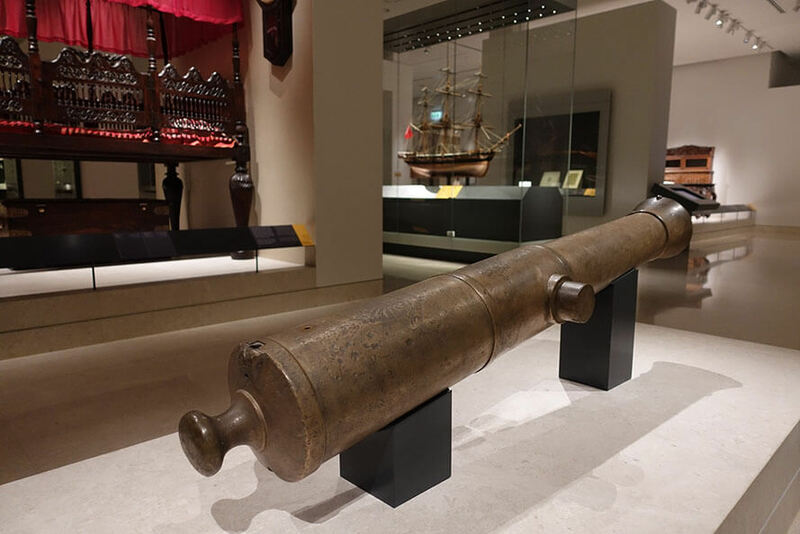 Yes, although this article is called the Muskets of Muscat, the museum boasts an impressive collection of cannon, rifles, and pistols, in addition to numerous swords and the distinctive curved “Khanjar” dagger which is a traditional Omani weapon. 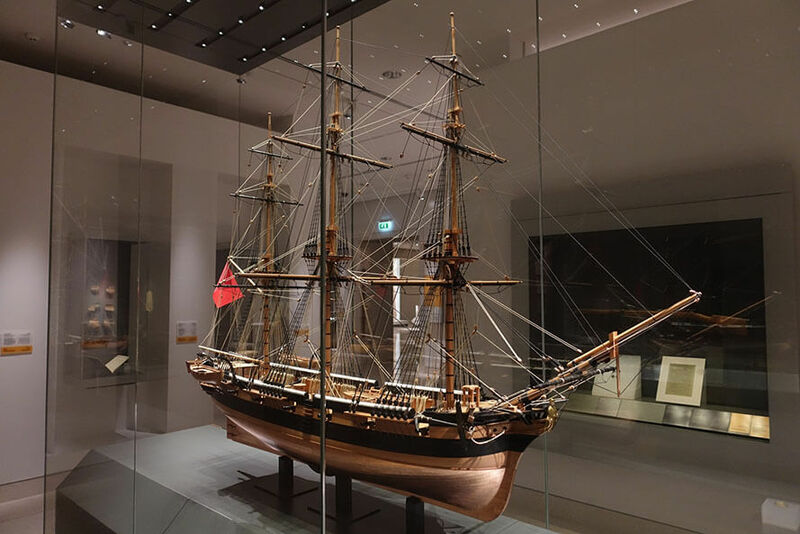 I am, however, sharing one of the many beautiful and intricate ship models at the museum. Sorry, I couldn’t resist. 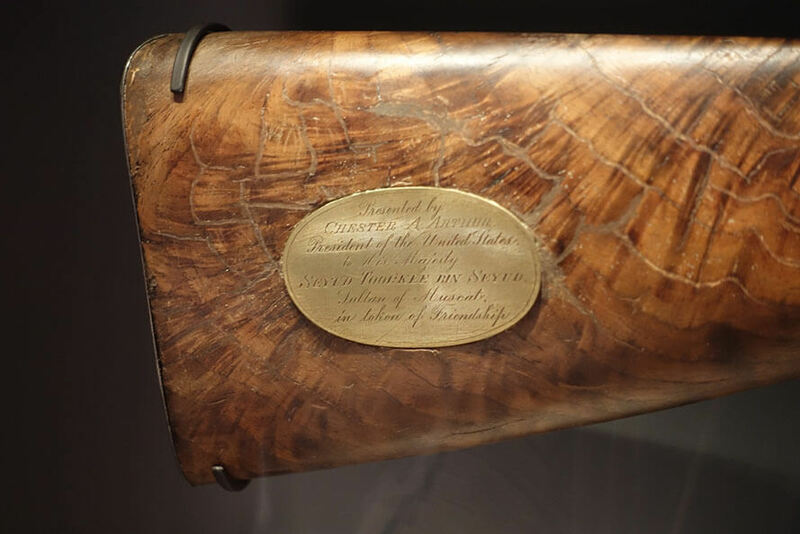 I’ll now let you peruse the photos, which include Lee-Enfields, Martini-Henrys, Fusil Gras-ses, percussion and matchlock pistols and muskets, cannons produced in the US, Germany, and Macau, and my personal favorite, a Winchester lever action presented to the then-Sultan of Muscat by President Arthur in the early 1880s. 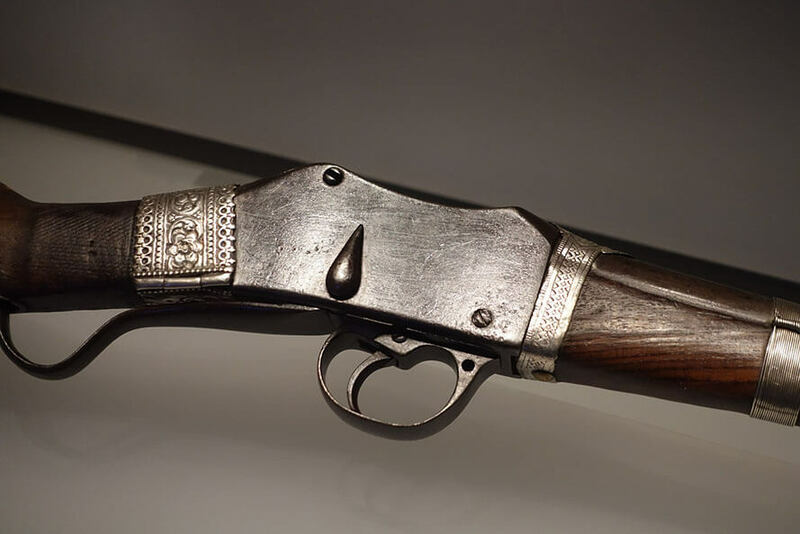 Why is it my favorite when there’s a prettied up Lee-Enfield in attendance? 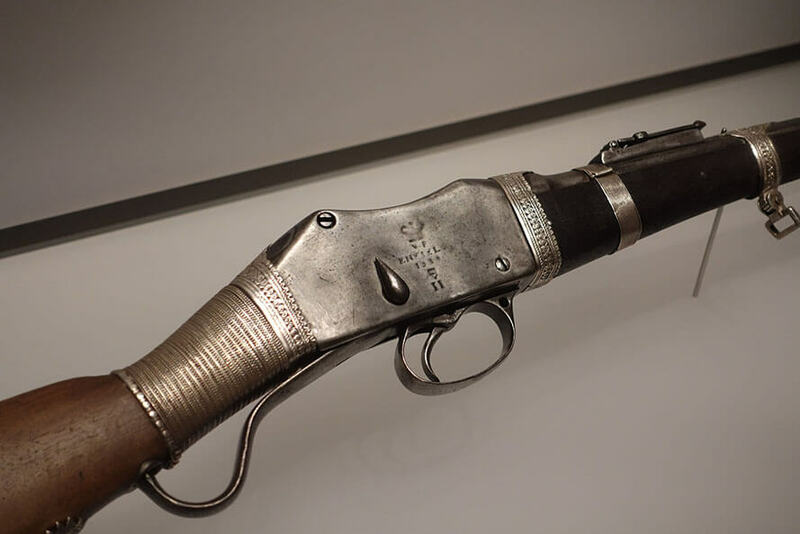 Because this lever rifle was clearly put to good use. 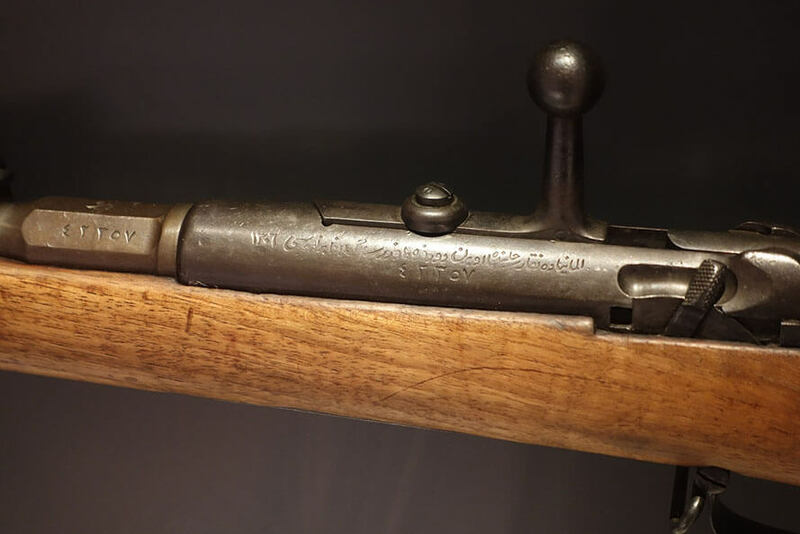 Despite the plaque on the stock and the beautiful engraving from the receiver to the muzzle, you can tell this rifle didn’t just hang on the wall. 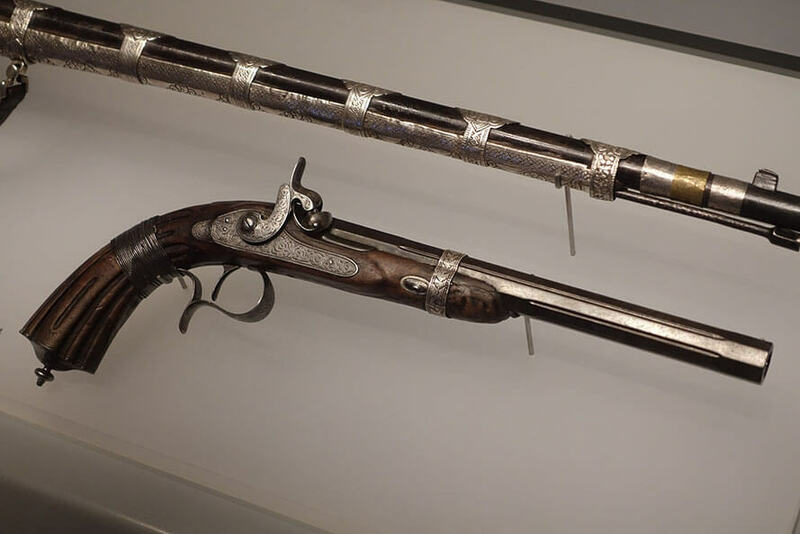 The Sultan – or someone – took it out in the field and used it a lot. 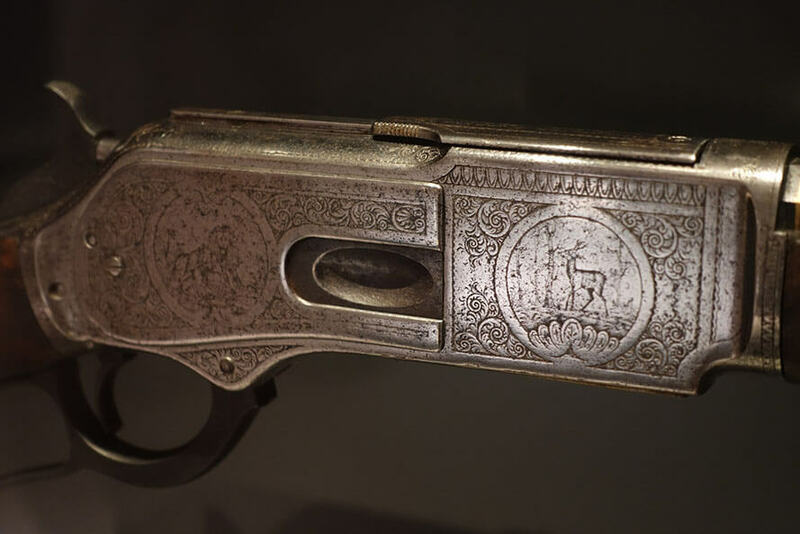 When the front sight fell off, and stayed off, it was probably put in the museum. 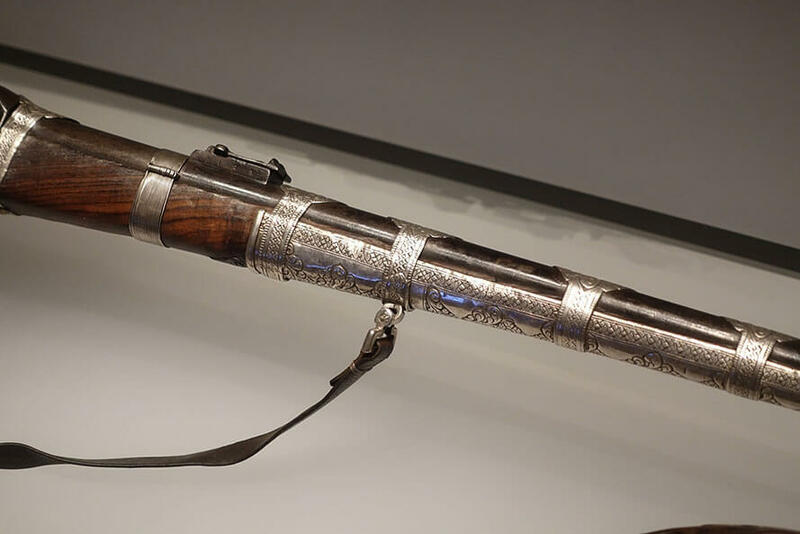 But for a good while, that rifle was carried and used as it was meant to be, perhaps to hunt oryx or defend the palace against the occasional coup attempt. Finally, I’m sharing my overall favorite part of the museum, which was the Push Button, Receive Frankincense plaque. It worked, and frankincense smells great. 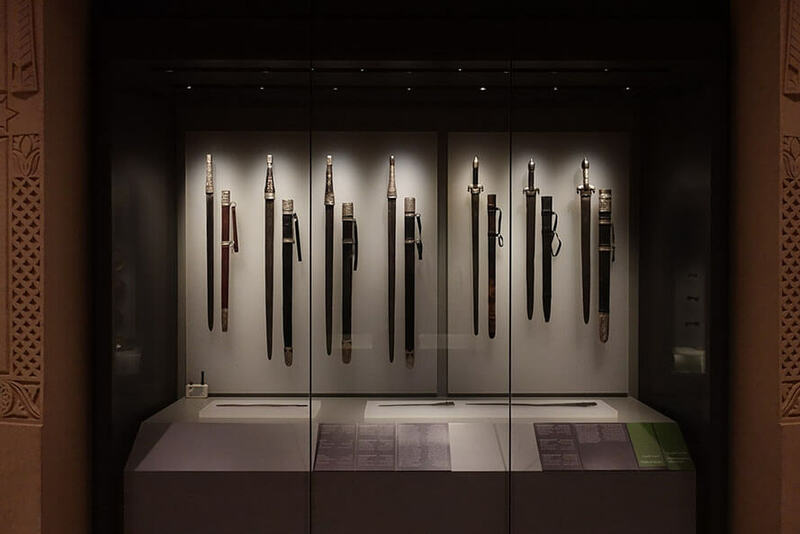 You should definitely visit Oman – and this museum. 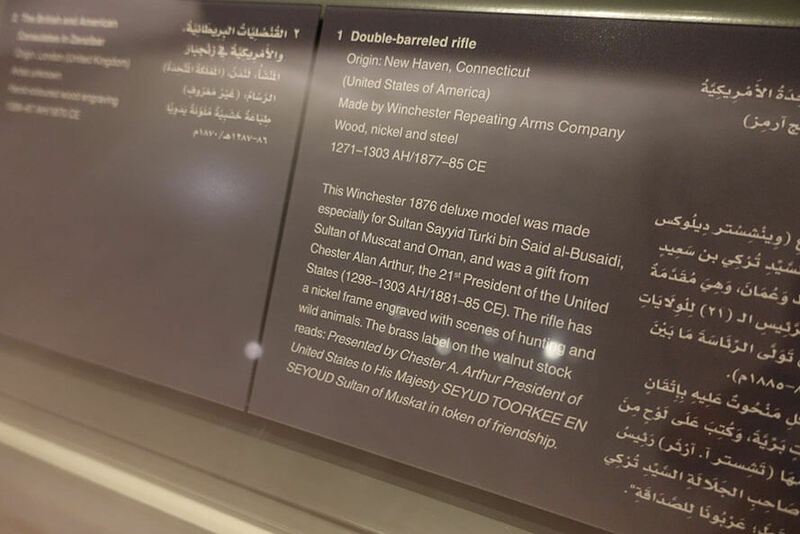 The post The Muskets of Muscat: A Visit to the National Museum of Oman appeared first on Omaha Outdoors.